Whether you are on a business trip, attending a corporate retreat or in transit, the services and amenities will ensure a comfortable and pleasurable stay. Our exceptional service and friendly staff are always on hand to ensure that all your needs are met efficiently and with a smile. We offer 35 rooms designed to make you feel at home and keep you comfortable. The beds are soft and cosy, and our rain forest showers will put you in right frame of mind. 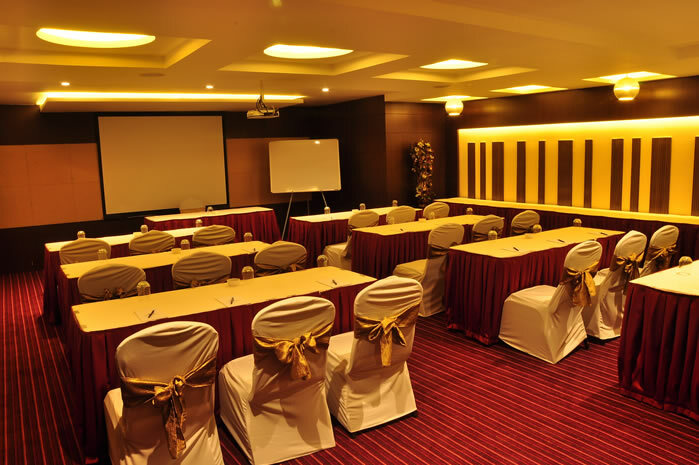 Every room is provided with LED TVs and as befitting a business hotel wifi access is always available. 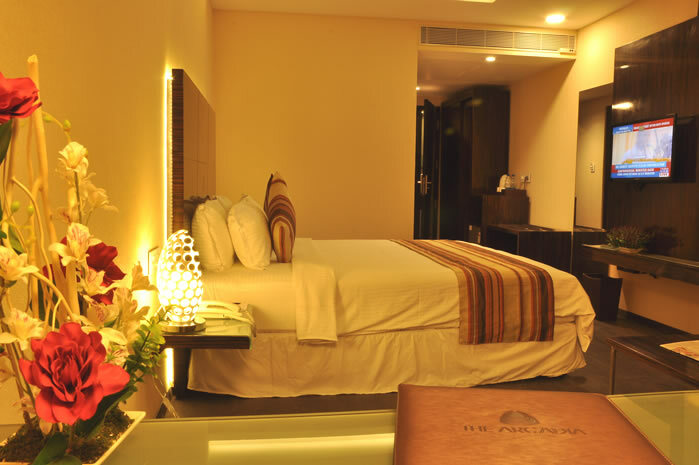 If you are in an expansive mood you could check-in to our exclusive suites that are quite luxurious. Keeping in with the trend of budget business travelling we are introducing premium serviced apartments too. You can say, here is a serviced apartment with a hotel attached to it. Yes, you can make use of all the facilities that Arcadia Hotel Offers. 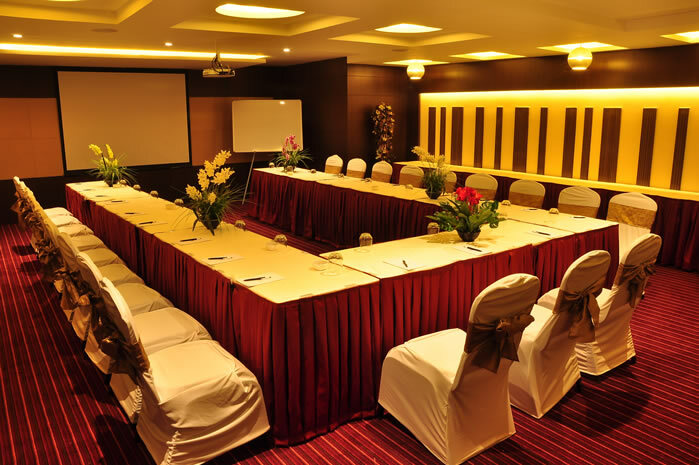 Our business centre offers seamless blend of style and technology for the sophisticated traveller. They are fully equipped with most modern communication devices to meet your business needs. We also offer secretarial service on demand to ease your job. 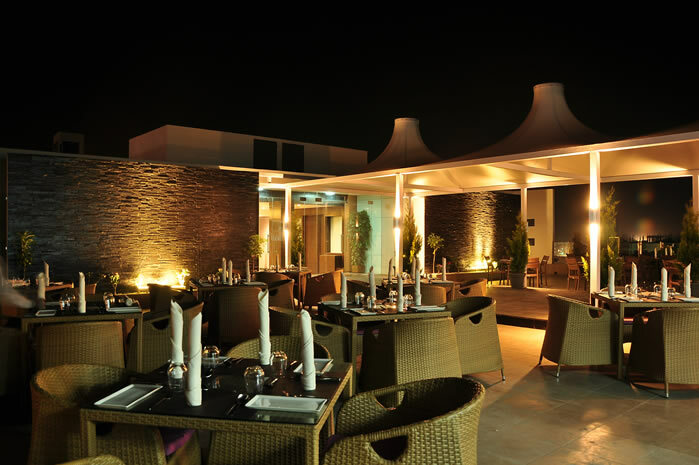 Enrich your stay by exploring our innovative international cuisines at our scenic rooftop restaurant which offers sumptuous array of foods to treat your taste buds. From hearty breakfasts in our beautiful dining rooms to Dinner at the rooftop is a unique experience. Our Menu apart from multi cuisine also offers traditional and regional fare.